Being a tween or teen can be hard. You want to fit in, you become more self-conscious about your appearance, and you start to care about how you are seen by others. For decades, braces, retainers, and other orthodontia have been the bane of kids’ existence. “Uncomfortable, cumbersome, and metallic contraptions in my mouth 24 hours a day, staring everyone in the face if I so much as crack a grin? Sign me up!” said no preteen or teenager ever. Luckily, teens and people of any age who want to straighten their teeth and create a beautiful smile no longer need to experience the dread and difficulties that often accompany traditional metallic braces. Invisalign®, which, as the name implies, are invisible braces, offers an attractive and effective alternative that more and more of our patients are choosing. Removable Invisalign aligners work by moving teeth through the appropriate placement of controlled force on the teeth, just as traditional metal braces utilize mounted brackets and wires to do the same. The principal difference is that Invisalign not only controls the forces, but it also controls the timing of the force application. This results in an efficient force delivery system. 100% Invisible.Invisalign aligners are 100% clear. No one will have any idea you are wearing braces, and you won’t feel self-conscious or embarrassed when you smile. Unlike traditional braces, Invisalign is made with surgical grade plastic that is both durable and comfortable. No metal wires or brackets, and no irritation along the cheeks and gums. Metal braces are on your teeth 24 hours a day every day for the duration of your treatment. Invisalign aligners are completely removable, making it easier and more convenient to do things normally. Take your aligners out when you eat, brush, and floss, and wear them when you aren’t. With metal braces, certain foods and beverages may be off limits. With Invisalign, you can remove the aligners and enjoy everything you did before. 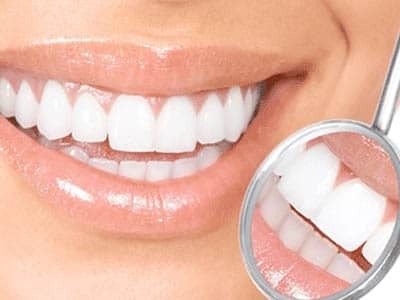 Healthier teeth and gums.It can be difficult to maintain effective oral hygiene with traditional braces, as it can be harder to effectively brush and floss. 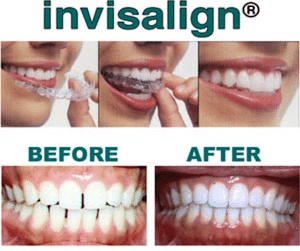 to Because Invisalign aligners are completely removable, patients can do a better job of thoroughly brushing, flossing, and caring for their teeth and gums. All of the foregoing benefits wouldn’t mean much if Invisalign wasn’t effective at straightening teeth. But Invisalign has added hundreds of thousands of beautiful smiles to the world, and yours may be one more. Your specific condition will need to be evaluated by Dr. Herrmann in order to determine if you are a candidate for the Miami Invisalign dental straightening system. This is a quick and painless procedure that can be completed within a single visit. Dr. Herrmann will explain your options and the required length of time for treatment, as well as answer any questions you may have regarding this cutting edge, non-invasive treatment procedure. For a personalized consultation and treatment plan, or to learn more about Invisalign, contact Assure A Smile at 305-274-0047. Assure A Smile announces the full integration of two leading dental technologies: Invisalign – Invisible Braces and The iTero Scanner – a new digital impression system. Together, this new technology is helping South Florida residents create beautiful smiles like never before.